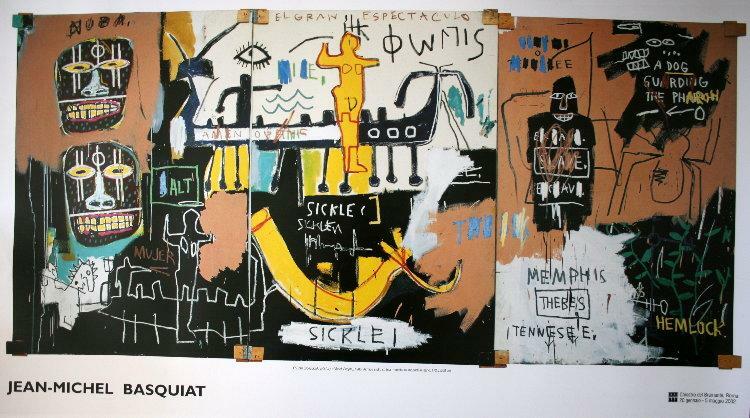 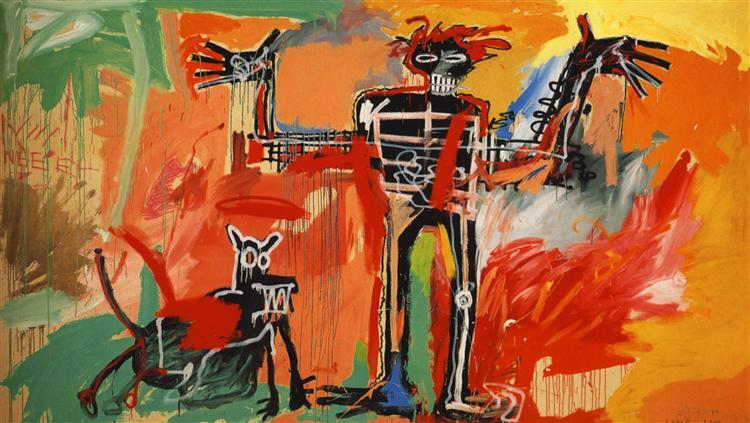 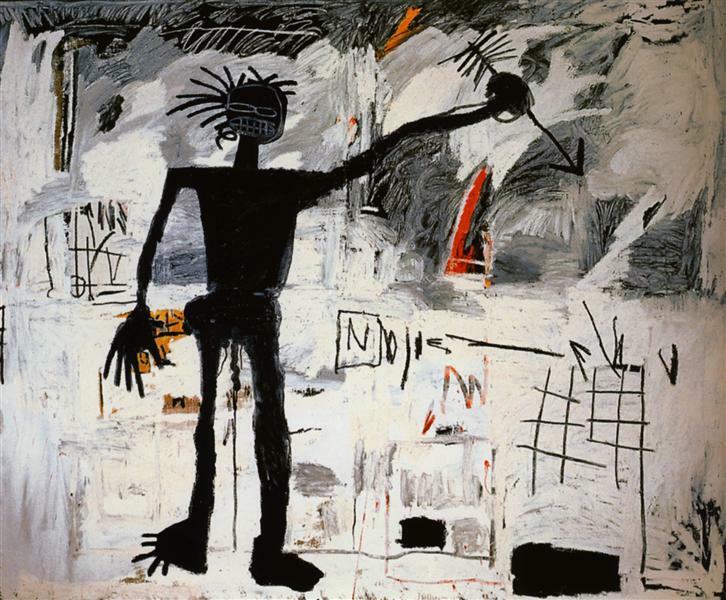 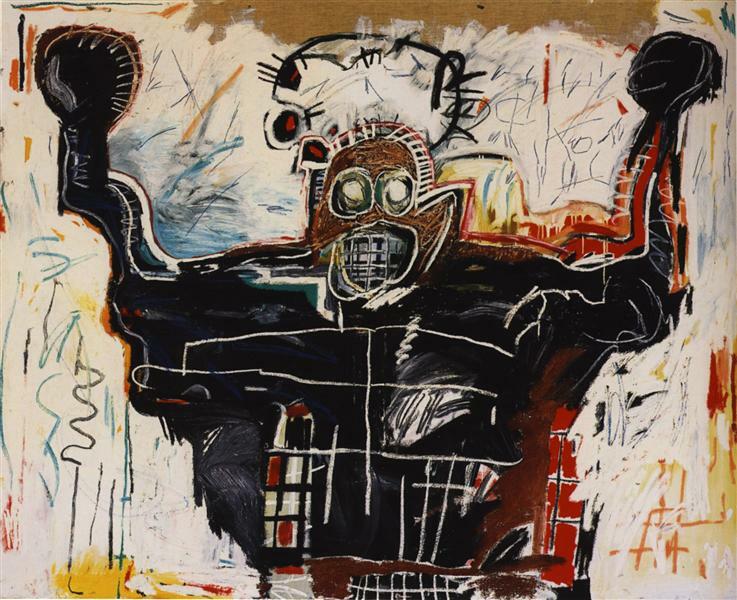 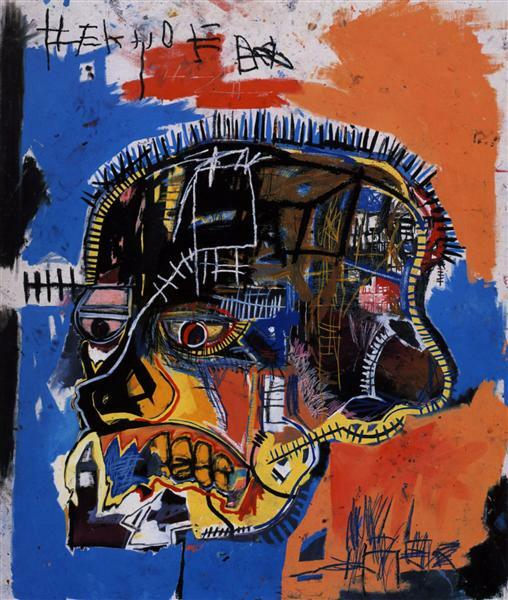 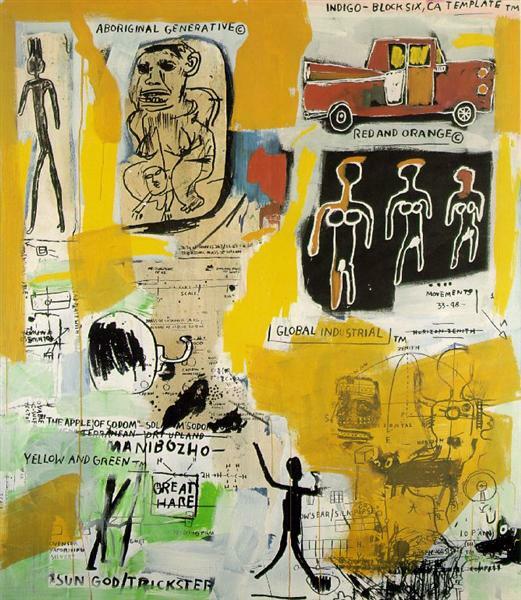 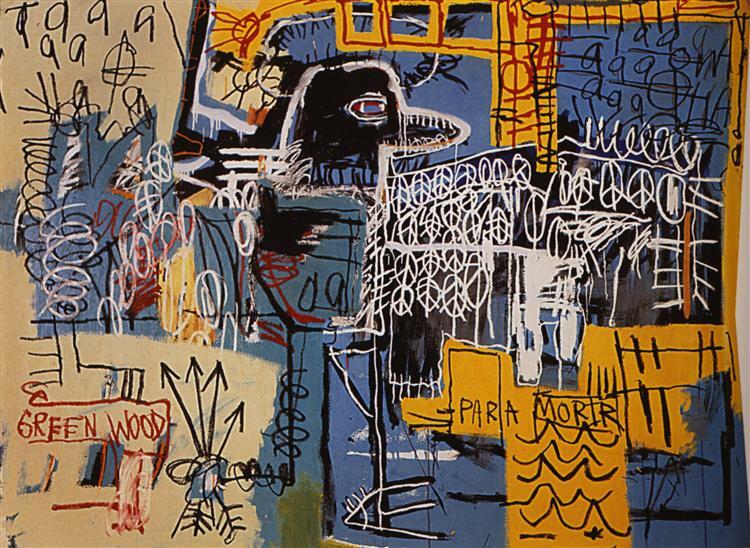 Basquiat was a precocious child, and at the age of seven, his mother gave him a copy of Gray’s Anatomy, which he later used as a reference to create his masterful and deconstructed figures. 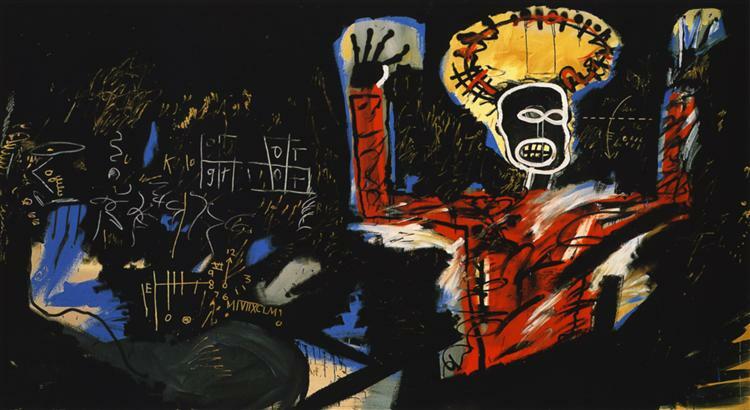 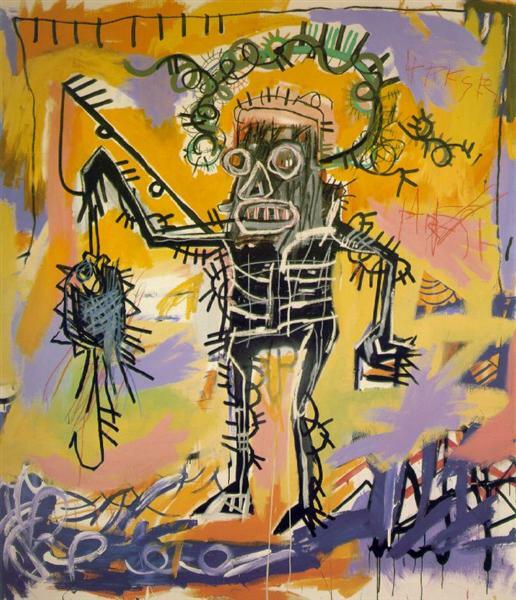 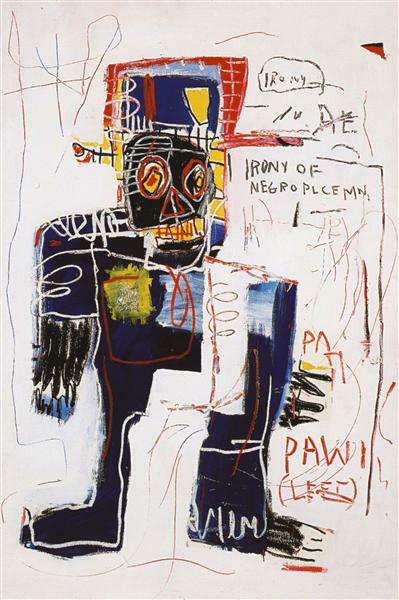 In this painting, Basquiat presents us with a face in the shape of a skull. 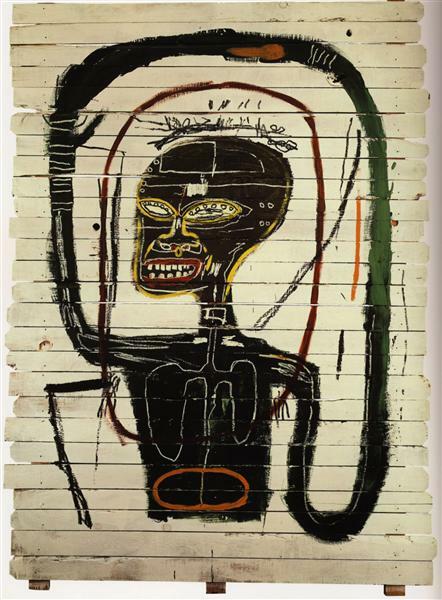 Although complete with eyes, a nose, and teeth, the painting gives us the illusion that the face is incomplete, and the bones from underneath the surface are coming through just as plainly as the colors in the background. 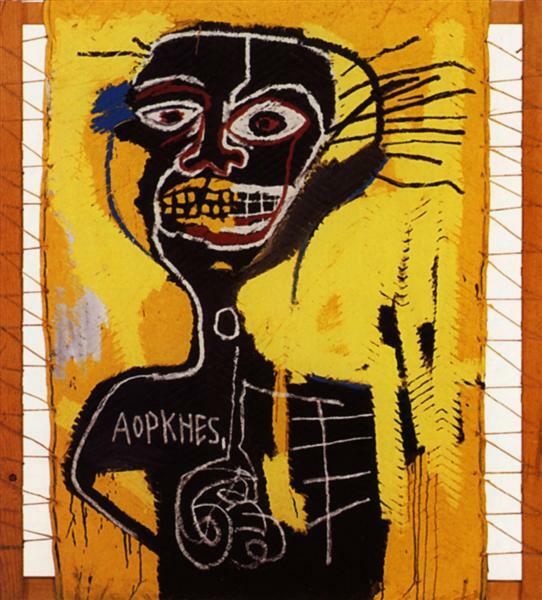 The head is filled with Basquiat’s illusory graffiti, giving the impression there are forms and figures within the face, but upon closer inspection, the face is a shambles of abstract lines and shapes.